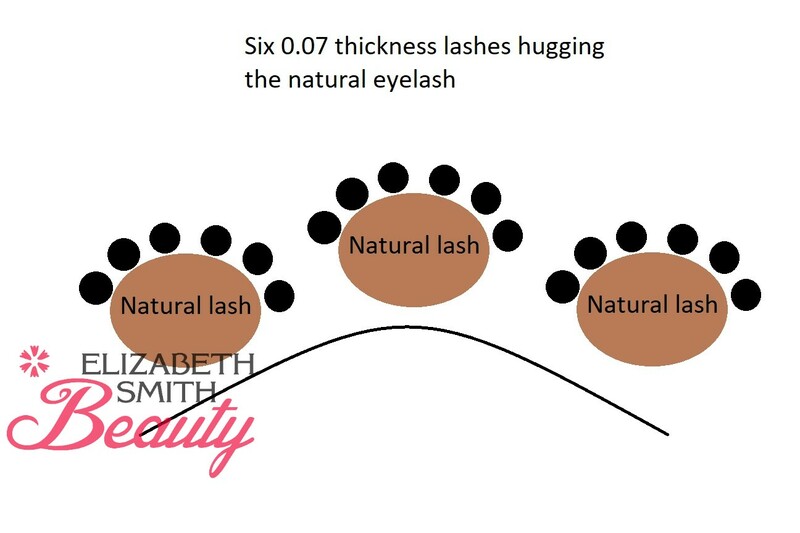 The idea of volume lashes is to use four to six 0.07 thickness lashes and get them to hug the natural lash. 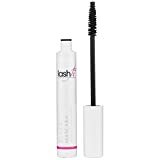 This leaves them looking even fuller, as each natural lash holds multiple extensions. 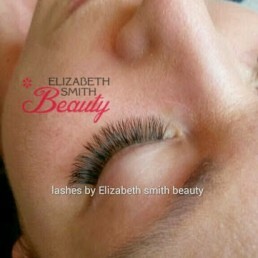 Please don’t use a heavier weight or more than six lashes with these type of eyelash extensions, or it can lead to damage to the natural lash. 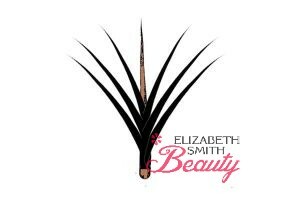 Ideally place the hand made fan on top of the natural lash with the natural lash in the middle. Please don’t buy pre-made fans. 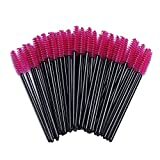 In my opinion they are too heavy as they already have glue on them, and you need to add additional glue to stick them to the lash. If you are making your own fans, you can use the same spot of glue to both stick the fan together, and to the natural lash. Once you have mastered the art of creating hand made fans you will truly understand why it’s a form of art and why you need to charge more for them. 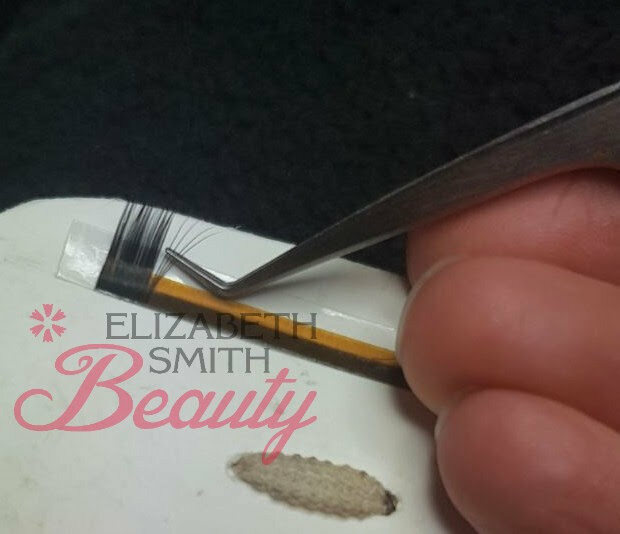 My clip art skills aren’t great, but you can see from this image of a volume fan that the brown natural eyelash is in the middle with the six 0.07mm fake extensions evenly spaced on top around it. It’s extremely difficult to pick up four to six really fine lashes when you start out! I personally pull/ lift the four to six lashes slightly apart keeping the base together on the sticky strip before releasing them completely from the strip. As demonstrated on the image below. This does take time, don’t rush. 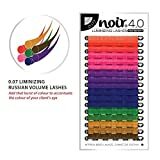 I use Noir volume tweezers available from Amazon. 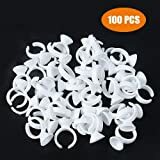 Once you have started to master picking them up without dropping them it’s time to concentrate on getting the perfect fan. 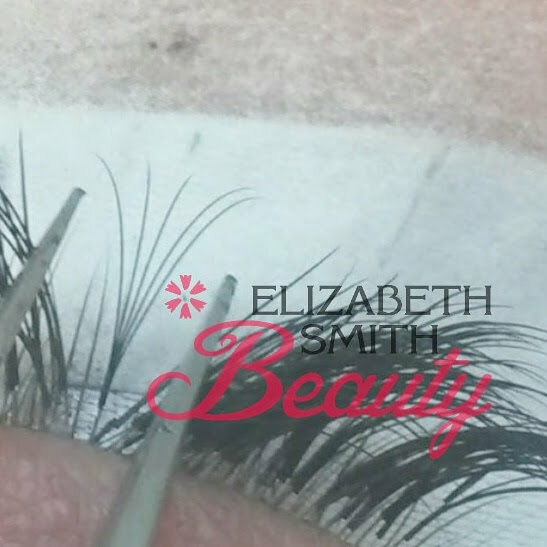 Symmetric – three 0.07 on each side of natural lash. that is the best guide. thanks for sharing.